PHOENIX – Arizona is caught in the middle as President Donald Trump tries to limit foreign trade with Mexico while the state tries to boost cross border business. 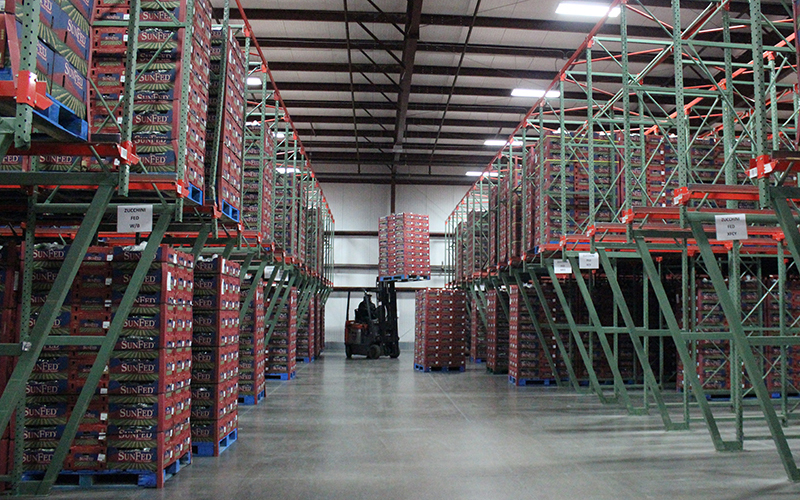 “What bothers me is that we are really not understanding where we came from and respecting where we are going,” said Jaime Chamberlain, president of J-C Distributing Inc., a Nogales, Arizona, cross-border produce distributing company. Chamberlain and others with businesses that depend on Mexico worry efforts by Arizona to build trade ties will be harmed as the U.S-Mexico relationship deteriorates. During his first few weeks in office, Trump clashed with Mexico’s President Enrique Peña Nieto over the border wall and who will pay for it, and Trump has vowed to renegotiate the North American Free Trade Agreement with Mexico and Canada. “It takes decades and decades to gain that trust, and it just bothers me the way things are said when we really should not be treating our southern and northern neighbor this way,” Chamberlain said. In 2015, Arizona exported $9.2 billion in goods to Mexico. Mexican visitors spend about $7 million in Arizona daily, according to the Arizona-Mexico Commission, a nonpartisan trade advocacy organization. “I’ve seen a lot of policy shifts in my day … and what I will say is free trade works,” said Marco Garay, executive director of the Arizona-Mexico Commission. Garay said the relationship between Arizona and its sister state, Sonora, has never been stronger and can weather any short-term policy changes. Garay said he’ll reserve judgement until he sees what policies the Trump administration actually adopts. Trump also threatened to impose a 20 percent tax on Mexican imports, but his administration has since said it’s only one of several possibilities. “Trump’s hateful rhetoric is perceived by many Mexicans, I believe, as a threat to a long-standing friendship,” said Sergio Puig, director of the International Trade Law Program at the University of Arizona. He said Mexico will likely begin looking for manufacturing agreements outside of the United States in the near future. And that could impact Arizona’s economy, according to experts. 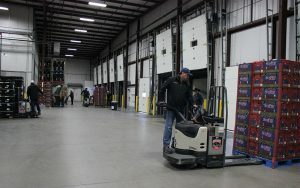 Most recently, Arizona exported $22.7 billion worth of goods in 2015, according to the International Trade Administration, a federal agency that oversees international trade. Mexico has consistently been Arizona’s biggest trading partner with $9.162 billion worth of goods exported to Mexico in 2015, the most recent figures available. But it’s still a small share of the total amount of trade between Mexico and other border states. Texas exported about $92 billion, and California exported about $27 billion to Mexico in 2015. Arizona has been working hard to ramp up trade with Mexico and partner with Sonora to build the region’s economy and create jobs on both sides of the border. Gov. Doug Ducey and Sonora Gov. Claudia Pavlovich Arellano joined forces to attract Lucid Motors, an electric car company hoping to compete with Tesla Motors. The deal consists of a border manufacturing plant in Casa Grande that could bring 2,000 jobs to Arizona. The plant would use auto parts from Mexican suppliers. Last year, the U.S and Mexico traded $70 billion worth of machinery, tools and equipment, according to a report by the Arizona-Mexico Trade Commission. Automotive imports accounted for 32.1 percent of total U.S. imports from Mexico. Arizona’s current state leadership has worked to repair the relationship with Mexico, which suffered after the passage of Senate Bill 1070, a comprehensive anti-immigrant law. But he said no matter how strong Arizona’s relationship is with Mexico, what happens at the federal level will dictate the direction of cross-border trade going forward. Chamberlain said he wants the Trump administration to understand the impact of any major policy shift on border states.